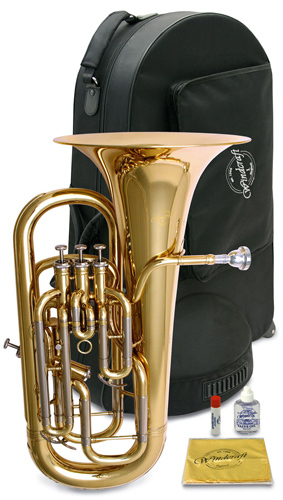 Newly designed Euphonium with solid build, stable intonation and reliable valves. Designed with the advancing player in mind this new WEP-200 4 Valve Euphonium offers great value for money on a large brass instrument. Ideal for advancing players wanting a 4 valve Euphonium.